The best way to see the game is to play it! Roll Up! Roll Up! The Filth Fair is Coming to Town! For many months now Wellcome and Toytek have been building an experience that explores the issue of 'Dirt'. Yes, Dirt! As part of the upcoming season by the Wellcome Trust, a veritable cornucopia of delights especially prepared for your delectation and amusement (and disgust!) is currently under construction. Once completed in March this year, the Filth Fair game will be unleashed to infect the delicate sensitivities of gentle-folk. This game takes the form of an “eye Pad”, “eye Phone” or “eye Pod Touch” iPad, iPhone and iPod Touch and alsotelegraphonic web game of hidden words and meanings. Central to this gaming experience is a huge painting by Mike Wilks, a noted and famous artist for his 1886 1986 bestselling book ‘The Ultimate Alphabet’. This game has over 300 hidden words buried in objects. 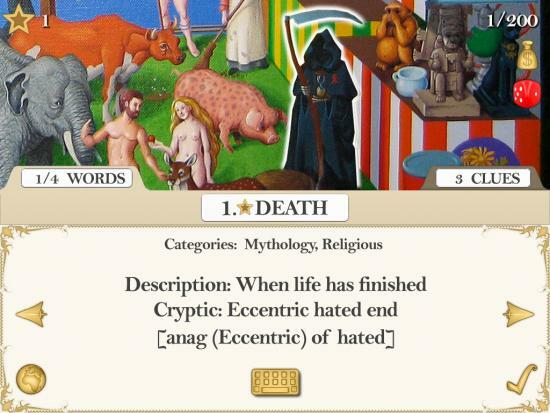 The player's task is to find and identify all the words. It can be done via cryptic clues, descriptive clues or word-substitution. Prizes and awards, not to mention acclaim, awaits those who can identify all of the objects within the Filth Fair. Entrance to the Filth Fair will be free! Visitors are advised to bring an active curiosity and a strong stomach. 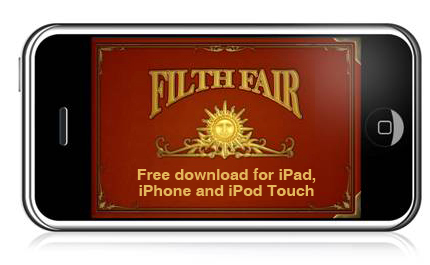 Also of interest to the many visitors is the display of craftsmanship that has gone into the creation of the Filth Fair. The central painting is not some digital-virtual hocus-pocus – oh no! The central painting is a real painting, painted by a real painter! Oh yes, this marvel has been rendered using non-digital paint on a non-virtual canvas in a real London studio. Be ready to marvel at the “real made digital” before your very eyes! We wanted to create game that everyone could explore at their own level, and looked long and hard to find the right people with the right approach. What emerged from this process is a puzzle/trivia word game developed by Guildford-based developers Toytek. They had already received a degree of acclaim for their work on The Ultimate Alphabet app, so we took the core idea for this game and made it, well, dirtier. The final result is an amazing central image, which comes from a real painting by cult artist Mike Wilks. The richness of the image meant that we could place objects in the image that were also in the exhibition, so linking the two experiences. Mike took ideas and objects from the Wellcome Library (including objects that are in the Dirt exhibition) and worked them into a collage of themes and colours. Being able to make these part of a game is especially nice because much of the content we consume nowadays is created and delivered in the digital realm.